Growing up in India, I’d never actually seen a dandelion. Only read about it in books written by Western authors. Yeah, maybe there are dandelions growing in India too, in the mountains perhaps, but being a city girl, I’d never actually come across one. A dandelion was one of those things, such as scones, or say, a jackdaw, which at 26, I still haven’t seen one. But I remember well, that the Famous Five used to relish piping hot scones for breakfast and there was always an annoying jackdaw in their barn. But I was an Indian kid without Internet. In fact, despite all the international travelling that I do now, I still haven’t tried scones. (Must put that on my bucket list.) Nor seen a jackdaw. So yeah, I was glad to come across this ethereal dandelion, after seeing numerous pictures of it on Pinterest. This was at Grousse Mountain in British Columbia, Canada. The flower was exactly as I had imagined it to be – light and magical. Anyone here know if I can, and how to plant dandelion at home? 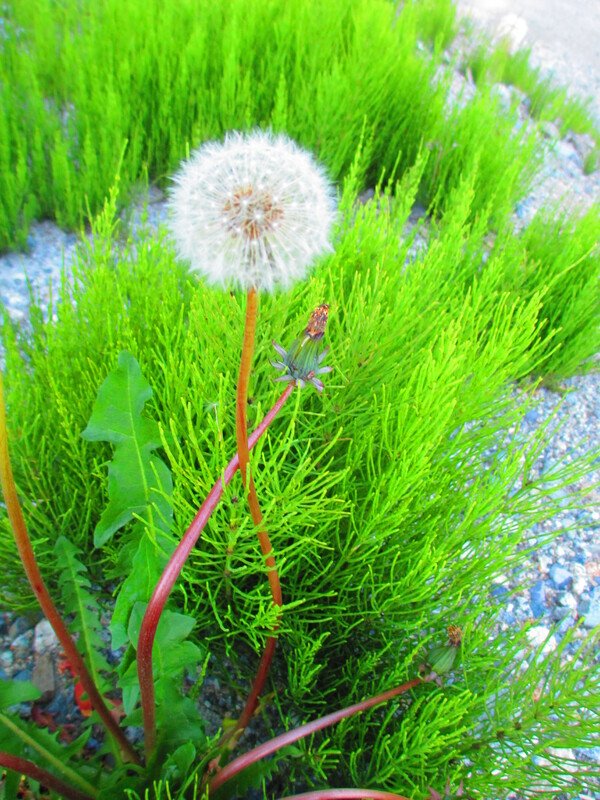 Dandelion in Canada’s Grousse Mountain. I’ve always thought that helicopters are way cooler than planes. They lend a sense of urgency to the surrounding, in the manner of which you have to board a chopper and I associate a VIP feel to them, thanks to its smaller seating capacity. I also love it how you need to crouch and hurry and be mindful of the strong wind that the blades churn up. Now compare this to how you board a flight. Yawn. It was last month in Canmore (close to Calgary, Canada), where I participated in heli-yoga, run by the guys at Kananaskis Heli Tours. The concept involves being taken atop a secluded and spot on the Rockies and amid that calm and lush surrounding, practice yoga to vitalise your soul. Yoga guru Kristen Stuart – who by the way, has the most magnetic personality – accompanies you (and the small group) up the mountain to train you in yoga. Being all cool in the chopper with my earphones, with our yoga instructor Kirsten Stuart (right), on our way up on the Rockies. Down at the office, before the short flight, we were briefed on the chopper etiquette by owner, the jovial Ralph. We were supposed to bend low, move around only when asked to, and generally be more aware of the surrounding. Upon landing, it’s possible that the wind from the blades cause a yoga mat or a personal belonging to be flung away, but we’re not to make a run for it, and remaine crouched till the chopper leaves, and retrieve the item later. That’s me striking a yoga pose next to the helicopter that transported us. The ride in the chopper was uber cool, as we put on large earphones with mics and could only communicate with each other through them. I’d only seen people in films do that and have always wanted to do it! The experience of practising yoga in a spot that we chose in the Rockies was one that will inspire me during low times. But as far as memories go, the helicopter ride wins all the way!